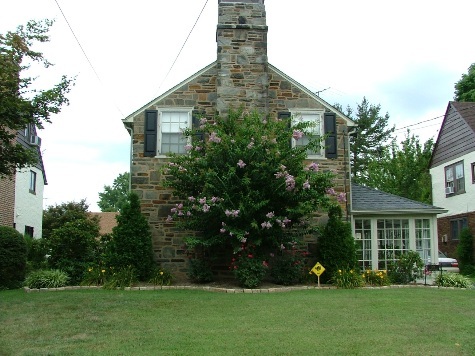 Robert J Kleinberg, with a degree in Horticulture from The University of Delaware, and over 30-year experience in Landscape Design, can choose the right design and plants to implement your vision for your property. 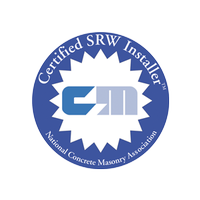 Working in Delaware County and parts of Philadelphia, Chester County, and Montgomery County. 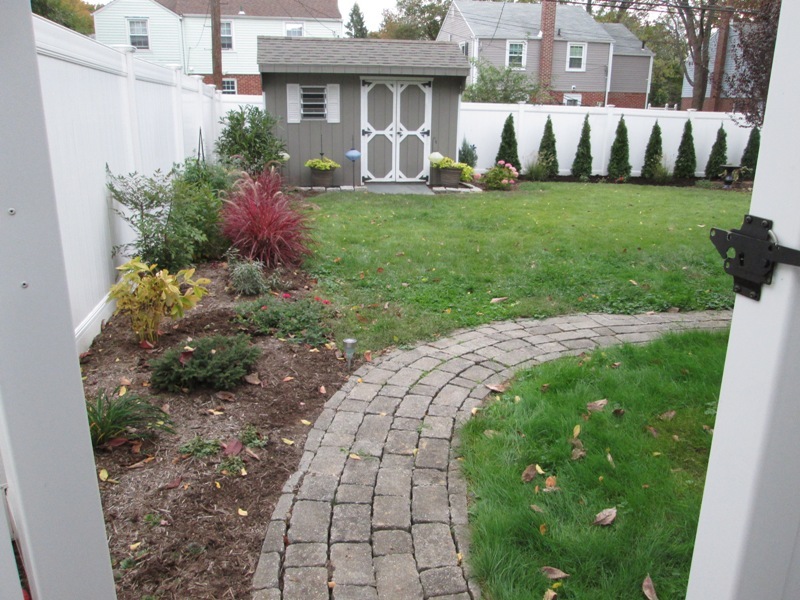 Many different considerations and ideas must go into a Landscape Design. How will the property be used? Children (and ages) or no children? A lot of entertaining, or mostly just the family? What features -patio, walls, ponds, lighting, etc. 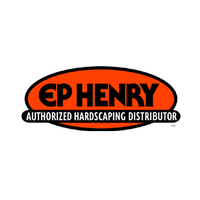 – are important to you as a homeowner for you to get the greatest enjoyment and use out of your yard? What are your priorities and goals for your property? Are there areas that need to be screened and hidden from view? Are there safety concerns that need to be addressed with a fence or lighting? Everyone wants low maintenance, but do you enjoy working in your garden? Will you be doing the maintenance, or hiring someone else to do it? 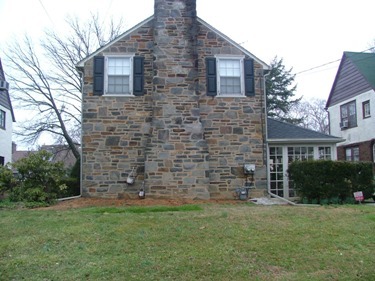 There are also often drainage problems that have to be addressed, and the local zoning ordinances can affect what can be done in a design. 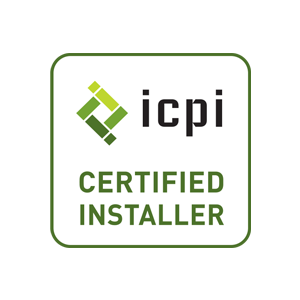 Only after these questions are answered do we consider the plantings – which is often the first thing that many homeowners want to discuss. 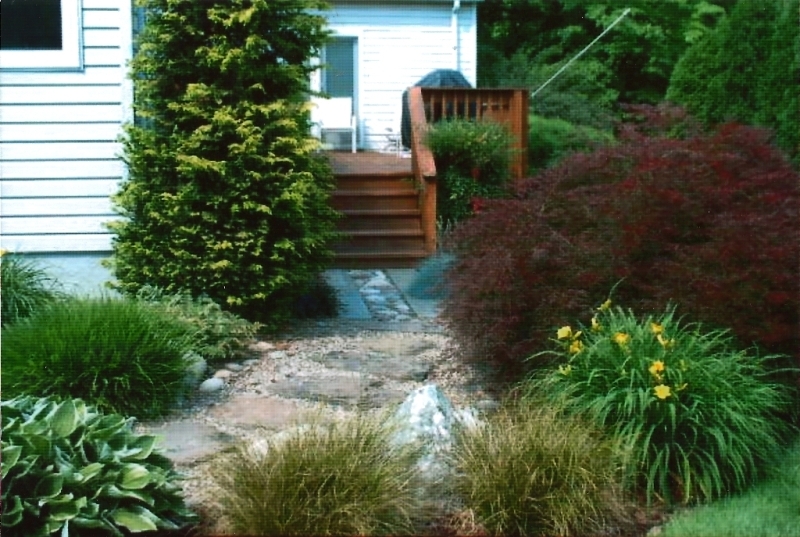 When designing the plantings, again many different considerations and ideas must go into a Landscape Design. Proper placement of trees and shrubs is our first step. Plants are spaced to allow for future growth without overcrowding. 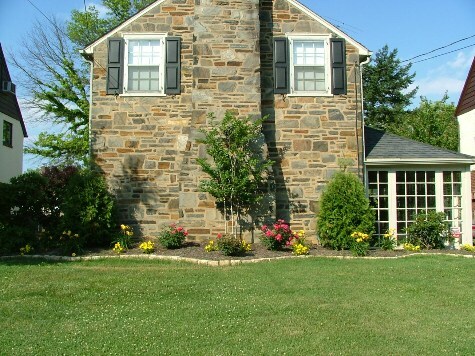 Good landscape design provides the framework to build on with seasonal color from perennials, annuals and bulbs. Which seasons are most important to the owner? Do you go away for many weeks in the summer or any other time? Many other factors are considered such as favorite plants and favorite colors, leaf and flower color, fragrance, berries, texture and more. This is why it pays to hire a professional. 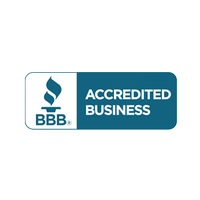 Please see the examples below and on many other pages throughout this website, and see other pages on this site for more information about our company. 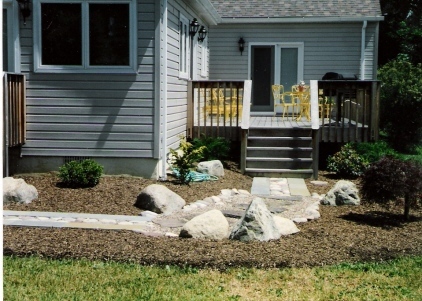 This job called for an updating of the front walk, landing and steps, as well as a rejuvenating of the landscaping. 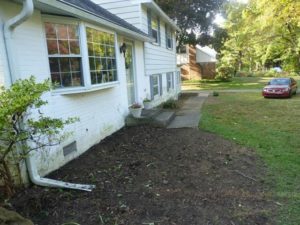 The existing landscaping had been just sheared for years and all of the natural form of the shrubs had been destroyed. 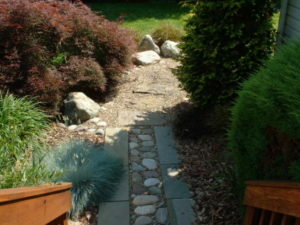 The walk was moved out a little farther from the house to allow for a larger bed, and the shrubs in the new landscape were planted far enough apart to allow the plants to be pruned more naturally without crowding. The old plants were removed and the hardscaping completed late fall 2013; as well as roto-tilling leaf compost into the beds, and the new plants planted in spring of 2014. We now can show you a computer generated image of what your landscape can look like after planting. The image can be easily changed and the plants can be ‘grown’ to show how the planting will look in 5 or 10 years. The bottom two photos are the actual planting. 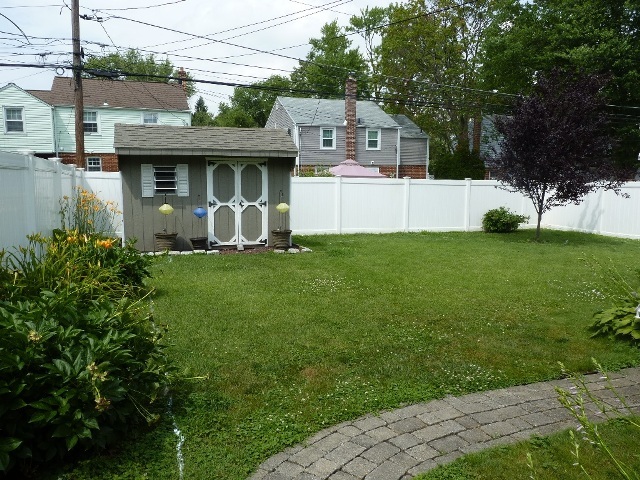 The owner of this property wanted to screen the back fence and a larger, more colorful garden with some evergreens for winter interest. The existing plants, except for the plum tree, were taken up and the better ones set aside to be replanted into the new beds. The shape and size of the new planting was established, and the grass removed. The beds were roto-tilled, 3 cu. yd. 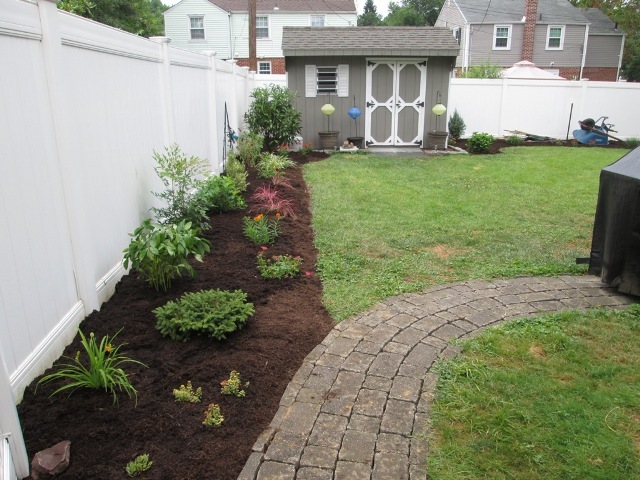 of leaf compost was added and the beds again roto-tilled. New plants were chosen for their bright colors, as well as their reputation for attracting butterflies. 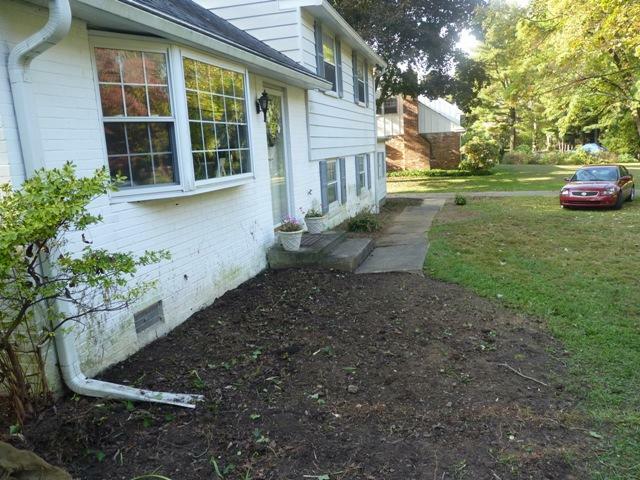 Before: Peonies and tall orange daylilies along the side fence. The peonies were dug up and set aside. After the soil was improved, they were divided and replanted. The tall daylilies only bloomed for a short period; they were removed and a few longer blooming Stella d’Oro daylilies were planted. 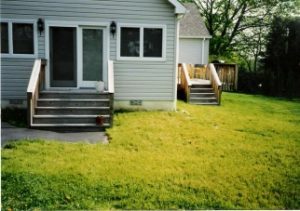 After: Immediately after planting. The Arborvitae have not yet been planted. They were planted in fall along with the spring blooming daffodils and crocus. The back entrance to this house did not need a solid walk past the first set of steps. This was the main entrance into the house from the driveway so the customer wanted to add some interest. 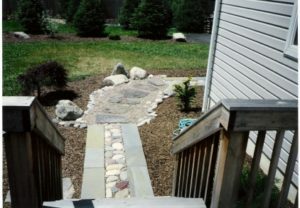 The walk leading around to the deck steps was made more informal with two 1-ft. bands of flagstone and 1-ft. of river rocks in the center. Stepping stones were placed through pea gravel beds surrounded with boulders and river rocks to give an effect similar to stepping stoned through a pond. The design was influenced by Japanese Gardens. 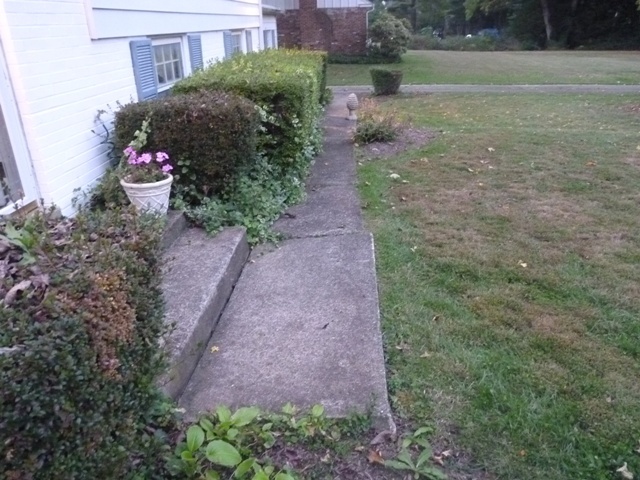 Also shown is the same garden about 10 years after planting showing how properly spaced plants will fill in and the landscape will improve over the years. 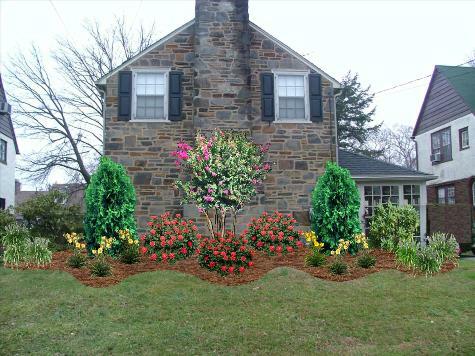 Overcrowded plantings are more expensive to install, and can look better when first planted, but they usually start looking worse after a few years. 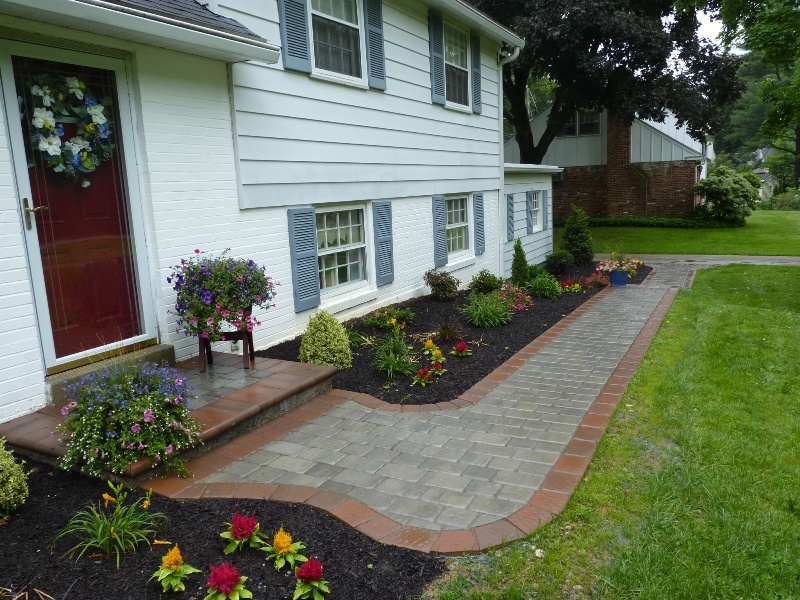 Additional photos of this project from the driveway can be seen on our Landscaping Page. Just after planting from the deck. Planting after about 10, from the deck. Just after planting from the yard. After about 10 years, from the yard.